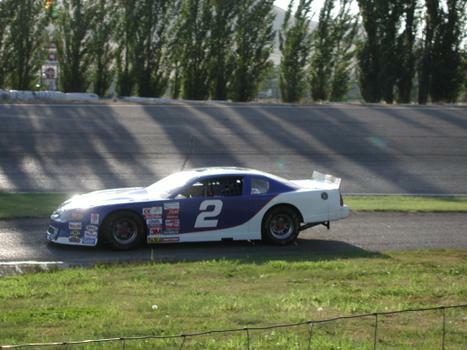 I worked for Richard Petty Driving Experience and it's amazing driving one of these late models. Absolutely nothing compared to a street car. The car overwhelms your senses with smells and vibrations and sounds. 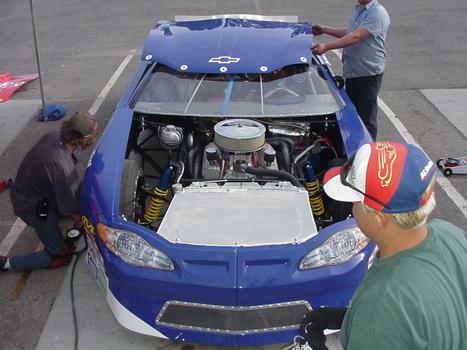 The overall environment in a stock car is what car makers work so hard to isolate drivers from. It's like going from a Conestoga wagon (a very very fast wagon) to a Rolls Royce. It was a blast driving one of these with all your senses awake and alive. I did 142 mph and it took all my focus...great fun to say the least. Talk about adrenaline rush!! Yeehaw!! DAVE! START YOUR ENGINE!!!!!!!!!!!!! and no Mr. Waltrip, we don't need a boogity boogity boogity. While racing,I can't pay attention to much more than driving,but what a rush afterwards. That's my son kneeling down. Very fast car, I could not do it without him!! !